I was listening to a Foot Collective podcast the other day. 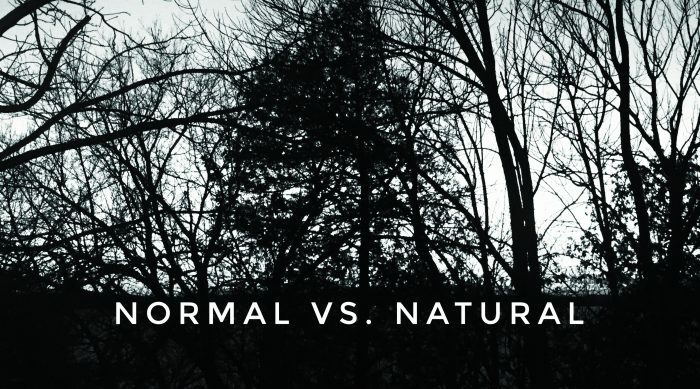 The topic of “normal” vs. “natural” came up in relation to our bodies. This sparked a great amount of thought for me. It’s easy to use these words interchangeably but they are very different, and that difference has contributed to challenges in our health. I brought this topic up with a client who is in his mid-sixties and he asked how I define “natural”. Coincidentally, in the past 2 years the number of younger kids (6 – 10 years old) on his street has increased. They are playing baseball, hockey or basketball, depending on the season. They are running, jumping and sometimes sitting/lying on the lawns discussing whatever it is kids banter about these days. My answer was to point to those kids and say “that is natural”. That drove the point home completely. I believe we’ve all either heard or said “that’s natural for me”. A great place to change unhealthy habits is by changing that statement to “that’s normal for me”, and then question what would be natural. I’ve experienced a few “ah ha” moments as I’ve introduced this practice into my life. I’m now seeing clients embrace changes that are resulting in improved health. Sleeping less than 7 hours per night. We are being kept awake by artificial light and other stimuli. Try shutting everything down an hour earlier than you normally do and see what happens. Eating at specific times of the day whether you’re hungry or not. Eat when your body gives you signals that you need nourishment. If there is a set time to have family dinner and you’re not really hungry, eat less. We get together for the company not for the calories. Feeling tired at the end of the day because you’ve spent 8 hours at a desk. Your body isn’t tired. Move it at the end of that type of day and you’ll discover how much energy you really do have. Moving back to natural means getting in touch with our bodies. We are constantly getting signals (pain, fatigue, etc.) that we either can’t hear or we ignore. Set aside time over the next month to focus in one normal thing that you do that isn’t natural. Get curious about it. Look for ways that you can adjust things because the truth is that natural is a better way to be.